I have a lot of obsessions. I just love beautiful things. And my current nail polish collection is proof of that obsession. I think I have the whole collection of Chanel nail lacquers, a slew of Essie and Deborah Lippman nail polishes. I have a nice cadre of Butter London and Nars, and OPI. And now my collection of Smith & Cult is growing. The packaging alone is one of the reasons why I have purchased the brand. The artistic round bottle topped with a gold sculptured fluid top is of art gallery caliber. Simply stunning! 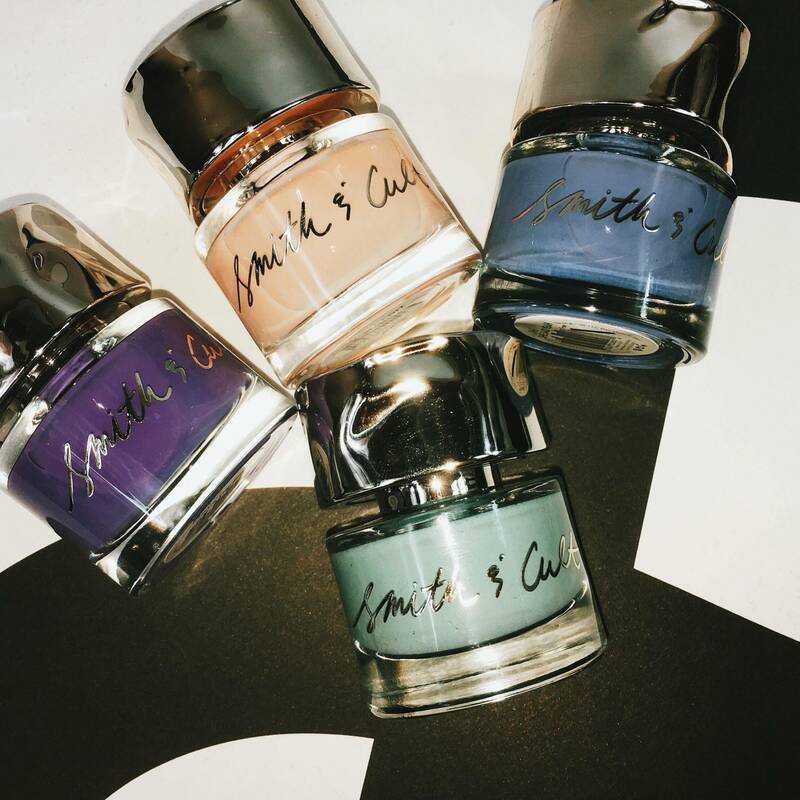 The five free nail lacquer line offers beautiful and unusual shades that are modern and on the verge of becoming cult classics. Currently, I have a curated collection of Bitter Buddhist that a beautiful creamy mint/celery green that I wear all year long, especially in the winter, when I need a pop of color and a break from the usual deep shades I tend to wear. Check The Rhyme is a true royal purple that’s as fresh as the name states. Purples aren’t something I usually wear in terms of nail colors, but this one is the exception. Love it! Ghost Edit is a soft, clear and clean peach. It reminds me of OPI’s Samoan Sand, but not as opaque. It’s perfect for any nail length and great when you want a lady like, clean and professional mani. She Said Yeah is a periwinkle with a slight hint of gray undertones. Along with Bitter Buddhist, this is another color I’ll wear to break the monotony. Since Smith & Cult just dropped a new shade called Lovers Creep that’s a deep Bordeaux, I will be adding that one to my collection very soon! !